I am looking at my phone and the weather app is telling me that it feels like -1 degree, and snow is possible here in Philadelphia in the imminent future. That said, I am here to assure you that Spring is right around the corner. I hope. Maybe. It has to come sometime right? If the general changing of the seasons continues as it has for, well, all of human history, we can be pretty certain that at some point spring will in fact show up. When it does, the Alpinestars Spring 2016 Collection will be ready with tons of new gear that will great the warmer weather with open arms (or sleeves to be more exact). 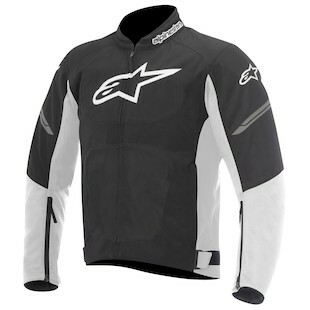 One of the top contenders will be the re-imagined and upgraded Alpinestars Viper Air Textile Jacket. Alpinestars’ take on their Viper Air is if it’s not broken, don’t fix it. The Viper Air is one of their best selling mesh jackets and they decided to only do a light restyling for 2016. Since the update is only cosmetic, they have not raised the price. Since writing this, the temperature has gone up 2 degrees. Spring is on its way (slowly).